THE ROCK N ROLL UGLY CHRISTMAS SWEATER CONCERT TOUR FEATURING "WE ARE LEO" will be making a stop in Eureka on Friday, December 15th! Concert venue will be at EUREKA UNITED METHODIST CHURCH! Pre concert activities for kids begin at 6:00 pm in the JAM Children's Ministry area! We Are Leo are currently at the top of the charts with their current hit single "61/Twenty Three". The band tours extensively and plays at venues ranging from large festival events to smaller venues like Eureka UMC. This is an awesome, family friendly event; a great event to invite your friends and neighbors to attend! Please order your tickets early; we are expecting a full house! Monday, November 27th is Cyber Monday! id you know that Amazon has donated over $62M to various charities so far in 2017? Did you know that you can shop on Amazon through the link below and that Amazon will make a charitable donation to Eureka United Methodist Church? Simply cop/paste the link below or go to smile.amazon.com and choose "Eureka United Methodist Church" as your designated charity. There is no additional cost to you, just shop as you normally do on Amazon! This partnership with Amazon and Eureka UMC is available anytime you purchase online, not just on Cyber Monday. ith over 214 million active users in the United State, Facebook is by far the most powerful and effective form of communication accessible to us today. 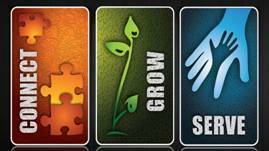 Eureka UMC has it's own Facebook page; be sure to 'like' us if you have not already done so. It is amazing how many people we can reach with the message of Christ through this medium! We have had some of our posts reach nearly 30,000 people! They were reached through a very simple process...the 'share' button. During this time of year, the word "church" is Googled more than any other time of year. People in our community are looking for a connection to a local church during Christmas more than any other time. The reasons are as varied as the people. This is a wonderful season to reach new people with the awesome message of God's love through Jesus Christ! What can you do to help reach new families this Christmas season? 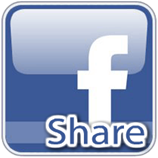 -One way is to simply "share" the posts published through the Eureka UMC Facebook page each week onto your own Facebook page. Our Advent and Christmas Eve worship services include high quality, professionally produced short, promotional video clips and stills. A single share will reach, on average, 150 of your friends. If just 100 people 'shared' each of the four main (one per week) Advent/Christmas Eve posts, we can reach 60,000 people with an invitation to "come and see" in December! -Another way is to personally invite a friend, neighbor, or a co worker to one of our worship services. A recent poll revealed that 82% of people are 'somewhat likely' to attend a worship service if invited by a friend. We just received hundreds of personalized invitation cards that you can use to invite guests to attend worship services this Christmas season. They will be available at the Welcome Desk on Sundays. These cards are produced by the same organization that produced our videos and contain information about Eureka UMC, worship times, and even directions to our church. Let's live into the Mission of our church, the very Mission given to us by Jesus, and invite others to experience the indescribable love and joy that we know through our relationship with Jesus Christ! Let's "make new disciples of Jesus Christ for the transformation of the world". Join us on Sunday during this extended "Thanksgiving Weekend" for worship services and a message with the emphasis of thankfulness! What are some things you are thankful for? Your family? Jesus? Netflix? Blues hockey? This Sunday we are going to visit Psalm 103 and not only acknowledge some of the things we are thankful for, but towards whom should we be thankful. We have truly all been blessed beyond measure, whether we are experiencing the mountaintops of life or even if we are currently found in one of life's valleys. Let us gather as God's children and give thanks to God on Sunday! The EUMC Chancel Choir and children from the JAM (Jesus and Me) Children's Ministry invite you to the 2017 EUMC Christmas Cantata on Sunday, December 17th at 4:00 pm in the sanctuary. This will be a wonderful event featuring some of your favorite Christmas songs led by our adult choir and our JAM kids! You are invited to stay afterwards for Christmas cookies, coffee, and hot cocoa in the Commons Area. If you took a tag off the tree for the “Crisis Nursery” gifts need to be brought to church and put under the tree on or before Sunday, December 10th. We certainly appreciate your generosity! We have another opportunity for generosity with our “Spirit of Christmas Giving Tree”. The tags from this tree stay local and serve families from our food pantry in the Eureka/Pacific area. Tags will be available this Sunday, November 26. We ask the gifts be brought back to EUMC wrapped with the tag firmly attached and placed under the tree on or before Sunday, December 10th. Families pick up from Sacred Heart on Monday December 11. If you have any questions, please contact the church office. We would love to have you help us decorate the church for Christmas! Join the Confirmation Class on Sun., Nov. 26 following the 9:45 am worship service for Hanging of the Greens We are getting ready for the First Sundayin Advent (December 3, 2017)! Help OATS raise bus match funds by collecting and donating new & gently used shoes! Drop off your new or gently used shoes at the box in Commons Area. All shoes must be collected by December 31, 2017! A big THANK YOU to everyone who has returned their 2018 Generosity Commitments either through the Commitment Cards or by pledging online. You can complete your Commitment Card online by visiting our website at www.eurekaumc.org (or through our new app) and follow the prompts through the E giving tab. Again, thank you for your continued, faithful generosity towards the life changing and life giving ministries that happen through Eureka UMC!